Although hot tubs are now gaining more and more attention from customers because it can give a lot of benefits, purchasing hot tub should not be like purchasing a simple product over the counter. There are a lot of things that you should consider before picking a certain model on the pool of hot tubs, which will help you not only during purchasing but also on the days, months, and years of your hot tub usage that would follow. Purchasing a hot tub is like investing your money into something that you would use for a long time. With that in sight, you should be able to get the best hot tub that will be in good state after a long time. Take time to read the said considerations before purchasing your hot tub. This also applies to the purchasing of other products. Price is perhaps the first consideration that every customers consider before buying hot tubs. Because if not, anyone and everyone would buy the most costly products out there, for they think that those products with the highest price tag to it are the best of their kind. However, it is not always true that as the price goes up, so does the quality. And besides, assess first if you really need to buy the most expensive hot tub before you go into it. There are more things that could fit with what you are looking, if you just take a closer look in finding the best one for you. To start with, assess your financial condition. If you can afford buying a new hot tub, then go with the one that would give you what you are expecting, like having a relaxing time to it. You can cut a lot of cost if you stick to the one you are looking for. Having lots of additional components like TV and DVD player adds to the price more than you see. Another consideration is the available size of your home for your hot tub installation. If you want to have a hot tub, then the first thing perhaps that you should do is to provide it with its installation space. If you live in a small house, you can still do place a hot tub but you should be able to move comfortable around it. It is just a matter of correct space allocations of your accessories. On the other hand, if you have a large space that you can dedicate to your hot tub, be sure that you can still optimize the space for it so that you would have no space wasted. The range of hot tub sizes is very wide that you can always select one with that you can fit in inside your house. There are also hot tubs that can accommodate more than two people, so if you would like to have that, be sure that there is an available space. Having a hot tub really is an exciting journey since you will be having a time of your life just by soaking yourself and letting the things around you seem to be blurred for once. Being a king or queen for every once in a while without having to take care of what is having around is a sure way to relax. 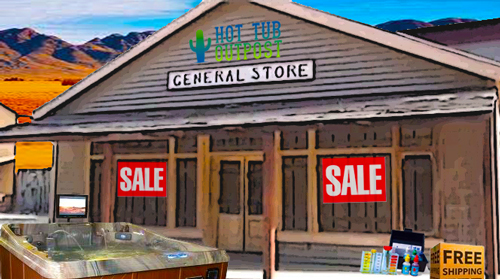 Purchasing hot tub is affected by several factors, such as the price and the hot tub sizes. However, proper utilization of resources and proper choice of hot tub will definitely save it.